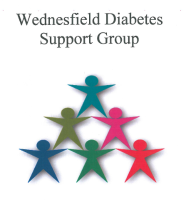 The group was founded early in 2005 with the intention of offering support to not only people affected by diabetes but also the carers and families of people living with diabetes. We have interesting and varied programme of expert speakers who come along and share their expertise with us and answer any questions in a relaxed and informal atmosphere. Other speakers who can also be asked to come along to speak about subjects not directly associated with diabetes but of concern to our members. It is also of benefit to talk to other group members on a one to one basis. In this way information can be obtained and forwarded to the health authorities to help improve the care and services required. The community centre has full disabled facilities. If you are interested in becoming a member of our group or would like further information please do get in touch. A programme of our scheduled events is attached in the useful documents section, on the right hand side of this page. For medical information you must contact your Doctor's surgery.